Armed with an undergraduate degree, Dr. Ormsby had been looking into physical therapy schools. After the impactful experience with chiropractic, he changed gears and enrolled in Life University to earn a Doctor of Chiropractic. There, he met his wife Dr. Wendy and enjoyed the beautiful weather Georgia had to offer. 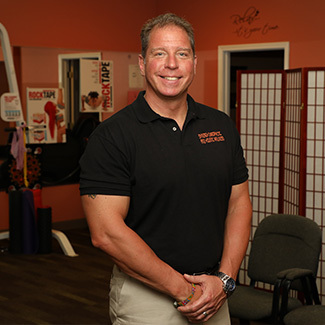 It was then he decided to combine his passion for rehabilitation with chiropractic, providing care for numerous types of injuries. With a love of learning, Dr. Ormsby takes regular continuing education courses and uses the knowledge to the benefit of his patients. Dr. Ormsby and Dr. Wendy have two kids and stay busy with family activities. They enjoy being outdoors hiking and going to the park or partaking in water sports. Dr. Ormsby’s stress reliever is his workouts, done six days per week. He’s a former competitive bodybuilder who firmly believes in taking care of himself and staying healthy. To find out more, contact Synergy Chiropractic & Holistic Therapy in Brunswick today!